The jacket worn by George sold for £54,000 including buyer's premium and the one worn by Ringo fetched £61,100, both to UK collectors. Help! was a comedy adventure, directed by Richard Lester, which saw the group come up against an evil cult and flee to the Austrian Alps to seek refuge. The jackets were worn throughout the five days of filming in the Alps and also featured on the album cover of the soundtrack. 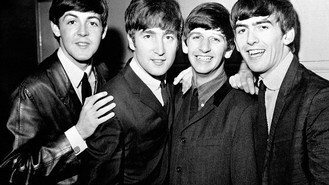 They came from the private collection of Lester, 82, who was one of the most influential directors of the 1960s, directing The Beatles' first film A Hard Day's Night as well as Help! The piano was in Twickenham studios from around the 1930s until Lester bought it from the studio in the late 1960s. As for Yesterday, Lester has said: "When coming to the end of the shooting of the film, Paul was spending a lot of time at the piano composing and fine tuning Yesterday, or the Scrambled Eggs song as it was originally entitled by Paul. "He was playing it that much that I actually threatened to remove the piano off the set if he didn't finish the song soon and give it a rest. When it was released in August 1965 Paul actually sent me a copy with a note attached saying 'I'm glad you didn't take the piano away - hope you like the Scrambled Eggs song now!'."